The overdress is made of patterned orange cotton on top and a blue patterned cotton on the bottom. 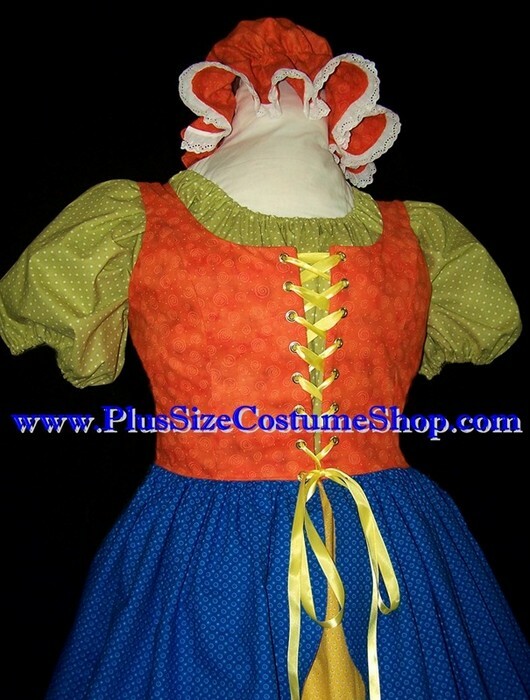 The bodice part is fully lined and boned at the lacings. It laces up through professional-strength grommets. The peasant shirt is made of patterned white/green polka dotted cotton and has elastic in the sleeves and neckline. The skirt is made of patterned yellow cotton. The skirt is trimmed in a wide piece of eyelet lace. The skirt has an elastic waist and will come hemmed at 30” (approximately mid-calf on someone of average height) unless a longer or shorter specific length is requested. Finally, a matching patterned cotton mop cap is included. 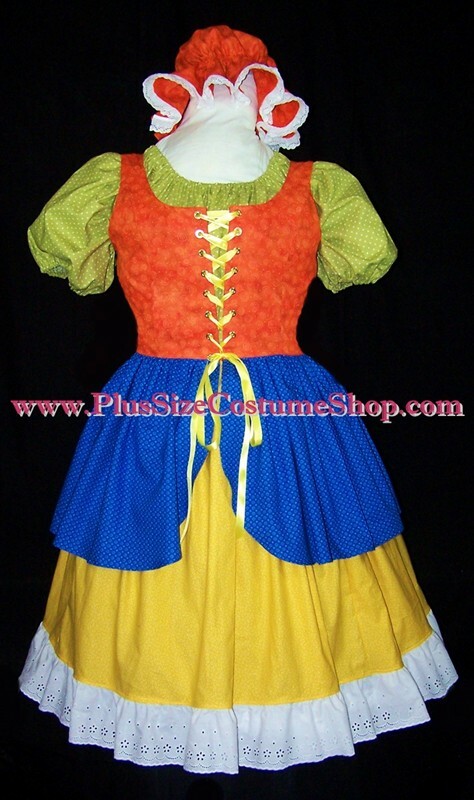 This costume would also work as: Old Mother Hubbard, crazy quilt lady, serving wench/barmaid, Little Miss Muffet, a rag doll, Orphan Annie, or a little girl costume. We can change the colors, however they would be different fabrics (not the same prints).